A relaxing hobby yet also a competitive sport, fishing is that relaxing pass time you can enjoy with your family, or it can be a super competitive sports competition, the versatility is impressive! In my opinion, bass fishing is the best and most fulfilling kind of fishing out there. Sure there are upstream salmon fishing, fly fishing, or net fishing, even hand gathering, and trapping, but the way to bass fish is my one true pleasure. Now I am to share my secrets how to catch bass fish. Seriously, fishing is not that easy, and when you finally learn some techniques, catching a fish has a whole lot of meaning attached to it, it’s not just what’s for dinner anymore. It’s not about catching the biggest, the best, the most variety, or even the most fish! It’s the feeling one gets when they do something for themselves, like a feeling of accomplishment, an indescribable feeling of success. A lot of times a beginner will strike out when trying to catch a lot of fish or bass, but those are the times you need to listen to advice, take your time, gather your wits, write down some notes, and observe other fisherman and other professional anglers. There is definitely some luck to catching bass, but there is more technique involved than what is simply visible to the eye. A professional fisherman doesn’t just throw his line out willy-nilly in the middle of nowhere, he takes his time, he waits for a certain part of the day, he observes the area, the wind, the shade, the sun, the other fisherman. He may struggle to find the perfect place to throw his line out, but when he does finally do so, believe me, it is not random. He takes every factor into account when he decides to throw that hook out into the water. First, do your research! Talk to people, the locals, the other fisherman, anybody that knows the area if you are in a new place. Find the freshwater lake, pond, river, or stream that has the bass in it! Find a couple, and visit each one if you can and if you have the time. Observe, and see if there are too many people, or if anyone is successful, and soak in all aspects of each environment. Next, gather your tackle box, your rod, fishfinder, hat, and maybe your fishing boat. Perhaps you’re lucky enough to have a boat, and hitch that puppy up to the truck and head on down to the lake! Now your tackle box needs a few key items in it like medium-sized and small hooks, worms of various sizes, jig lures, crankbaits, spinner bait, seasonal bait, extra line, scissors or a knife, maybe a net, pliers, buoys and extra parts for accidents and backup tools. Small and largemouth bass are known not to be picky eaters, they eat just about anything that comes their way. That is actually amazing and very good to know if you are looking to catch some. Now the best time to go bass fishing is literally right before a storm, not during, not after, but right before. The pressure of the air and water, something about the changing of pressure gets the fish excited and super active. Bass actually swim with the current so to begin if you are in a boat, make sure you cast out in front of the current so that they do not see your boat before they notice the bait. Now after you researched the area and pick which lake, pond or river to visit when you get there to find some great spots. Bass like warm areas that are a bit shallow, but not necessarily in a sun-drenched place. They like to congregate and spawn in shallow areas but often can be found doing just that under the shade of a tree or within a small grove. So maybe before you hop in your boat you can just throw your line in a few times in those special areas and you may get lucky! There are many ways to get your bait on the hook, but I actually prefer a Texas rigged worm on a medium sized hook. The worm lure is jerk bait, and the way the worm wiggles through the water really looks natural and gets the fish to go investigate! Large and smallmouth bass will eat anything, so choosing a lore really depends on what you want to use. Basically whatever looks tasty to you or what you think would look tasty to a fish and get it on your hook. Now once you have your rod all ready to go, and Texas rig a worm or any Lore onto the hook, and you find a good spot to drop that lure, go ahead and cast it. In a shallow area, a small whipping cast will do and with small over direction. You want that bass to notice it plop in the water, and once it’s in the water and sinking a bit, whip your rod in small motions to try and “jerk” your worm to move with the motion of the water. You want that worm to dance in front of the fish so they bite! As you reel your line in, just keep wiggling and jerking the rod in small motions. Keep trying and cast a few more times, and move on if you’re not lucky. If you are lucky, now good for you, but you didn’t get’em yet! If you see or feel a bite, you must set the hook into the fish and is able to do that you must reel in a bit and jerk the rod in one direction pretty hard. The purpose is to set that hook deep into the cheek of that fish so that you can feel him all the way in and back to you. So once you jerk the rod and set the hook, reel the line all the way in until it’s right in front of you. You can either grab a net to unhook it or grab it with your hands. Now pull the fish up out of the water with the rod and try to grab the mouth. There is a technique for holding a bass in order to keep the mouth open. You put your thumb on the bottom lip and hold your forefinger on the outside of the mouth forming a clamping motion. That clamping motion actually gets the fish to stay there with his mouth permanently open so that you can de hook him. Then keep holding his mouth and you can grab him and get a picture and either throw him back or put him in a cooler to clean up and eat for dinner. Well, I hope this information is helpful to you. The most important thing is to learn, have fun, be patient, and always be open to new advice from other experienced people. You never know what you can learn from someone else if you just listen once in a while! If you enjoyed my Techniques and my writing – please let me know in the comments below. Thanks and have fun bass fishing! Would love to catch bass someday. Thanks for the tips! I am very late to view this amazing article. Loved the content and learning I got from this post. BUT – you did kind of steal the show a bit – and I think that’s an awesome thing! There are way too many young fellas that don’t get attention from their dad that they should. These are great tips for pro bass angler. I have been fishing for 5 years and visited more than 3 countries in New Zealand, Costa Rica, Canada and my countries more 10 fishing spots in the USA. You tips will help beginner of the bass fisher. Great fishing Tips. ninjasab, seems you are an experienced fisher, after reading this article, I think so. 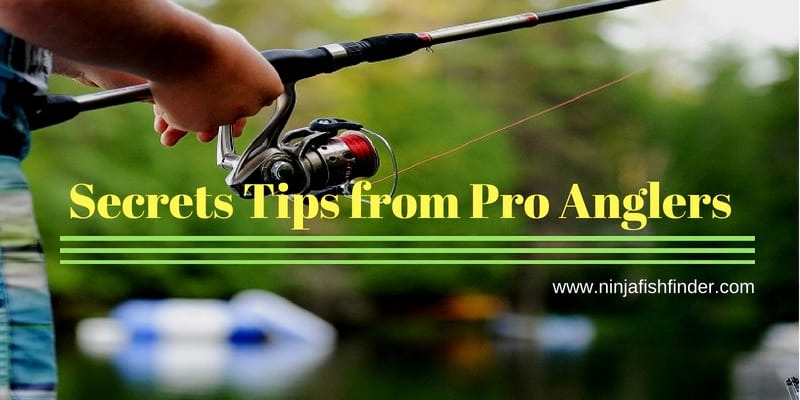 Thanks for sharing this post with us and honestly speaking these are great tips for pro bass angler. Your inspiration will help us in future work, Thank you! Bass fishing is some serious fun. Thanks for the great article. I’m Looking forward to reading more of your work. Have you ever tried fly fishing? Hello there, I think you nailed it pretty close with the fishing gear. More important than the gear though is bait/lure selection and presentation. Great fundamentals in this article. Thanks for the good read.